Friday nights are my favorite nights and Saturday mornings are my favorite times of the week. Since I left my mom’s aftercare from my Heart attack and surgery in September at her house in Haddonfield (the house I grew up in from 8thgrade to college graduation) and moved back to where I live now in Fairview in Camden (the town I grew up in from age 5 until 5th grade). Both towns have changed through the years and I like the changes in Haddonfield much more. I lived in Haddonfield from March 2009 to October 2010. The move was a wonderful and heartbreaking experience. I was financially distressed, just broke up with (dumped by actually) a yearlong girlfriend or whatever she was and a comeback from a short relapse to drinking after almost celebrating 17 years of sobriety. I was recovering from these factors and moving on and at the same time my adopted father (the one who raised me since I was 11) was sick with many ailments including the worst -Myasthenia gravis, an autoimmune neuromuscular disease leading to fluctuating muscle weakness and fatigability. It also lowered his immunities lowering his abilities to fight infections. The three of us decided that it would be a great idea for me to move in to my parents house so I could help my mother with my father’s new needs and be an extra person in the house so she could relax once in a while. I was more of a back up and security than daily help. We thought despite his ailments he was to live many years assuming he continued with current treatments. Despite his surprising death from catching scabies that lead to a facial neuralgia similar to my own, I have happy memories due to the pleasure of getting to know him better than I have in my entire life. He died June 19th 2009. I stayed on with my mom in what I thought was a support to her. In May 2010 I lost my job and my relationship with her deteriorated slowly until September when I realized I had to move out. Mom didn’t like a reclusive jobless son living on her porch, drinking coffee and smoking cigarettes on the computer day in and day out despite the fact that it was one of my most creative periods of my life. As if God presented it Himself I was offered an opportunity I felt I couldn’t refuse. 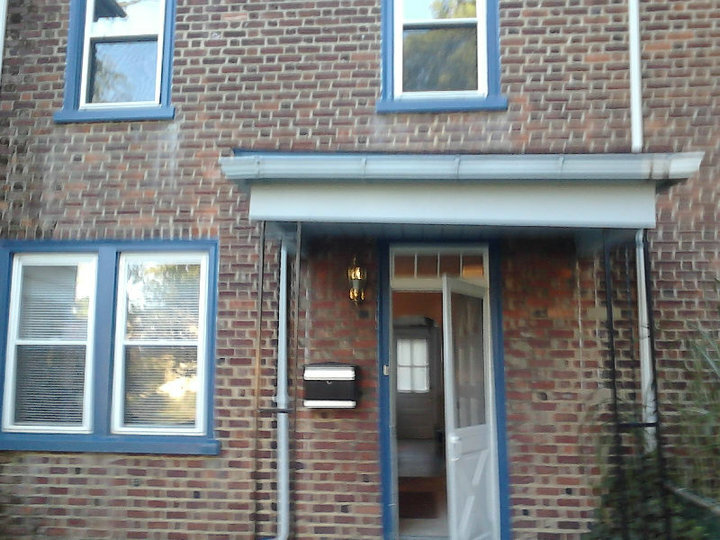 Without my mom throwing me out I went ahead and moved to Camden because my good friend owned the house, it was a bargain, it was furnished and it was cheap. I also had a friend that was in a similar situation that was ready to jump on the bargain. I loved the place when we first looked at it. Our decisions were made. I had the money and my new roommate had the money. On the day we signed the lease I had a bad feeling as I was driving through the neighborhood. I saw the boarded up houses and drug dealers on the corners. I made the commitment so I went through with it against my last minute objections. Here it is almost a year and half later and I am full of regret. I’ve since ran out of my savings, and due to my low income of my last job my unemployment barely paid the rent, My various mental and physical disorders got worse, I applies for disability so even if I could get a job I couldn’t, I lost my license due to not affording the NJ surcharges, I gave up my car, I lost my unemployment, I replapsed again and luckily couldn’t afford it and got sober once again, I went on welfare and I even got mugged once. A lot of time I blame my move to Camden so you can see why Fridays and Saturdays are my favorite days of the week. A twelve to 16 hour vacation from the “home” I dread. I spend the evening mostly alone in the TV room watching cable TV that I don’t have at home and write. My favorite TV show How I Met Your Mother is on 3 channels at 3 different times to keep me happy. I love Neal Patrick Harris and Alyson Hannigan since the Doogie and Willow days. I go to bed early creatively satisfied and entertained. I wake up nice and early around 6:30 am and pray and meditate, write and watch reruns of a crime show called Female Force on a crime channel. The morning coffee and cigarettes even taste better in my Haddonfield house. I either take a walk to help my uncle with his business for a couple hours if my pain and metal state are in order for the day or try and help mom around the house. Then we do lunch and I go back to “home” only by name and back to my on and off terror of my Camden environment.